The last weekend of March, I took a trip to southwestern France to visit a friend of my high school French teacher. The main reason was to observe her using TPRS in the classroom (mentioned briefly here) and to talk to her about it, but also to see a different part of France, and one that’s NOT a big city! This country girl has been hurting for some wide-open spaces. Port-Sainte-Marie, where the teacher lives, is marked in red. 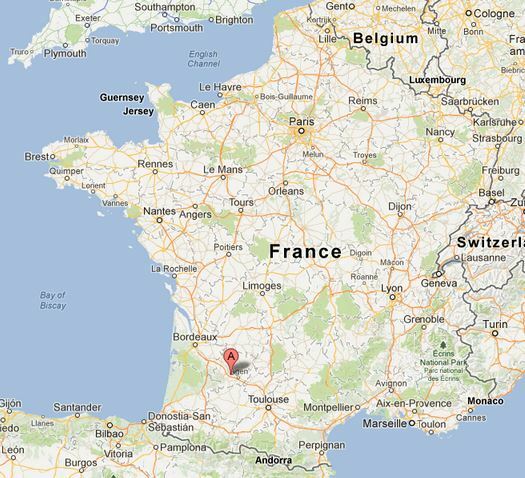 It’s really near Agen and between Toulouse and Bordeaux. My friend Tyler Faivre took the beautiful photo that's at the top of this page while he was traveling in Nice!